A red-faced macaque baby monkey plays in its box at a zoo in Hangzhou, in eastern China’s Hangzhou province on December 28, 2014. 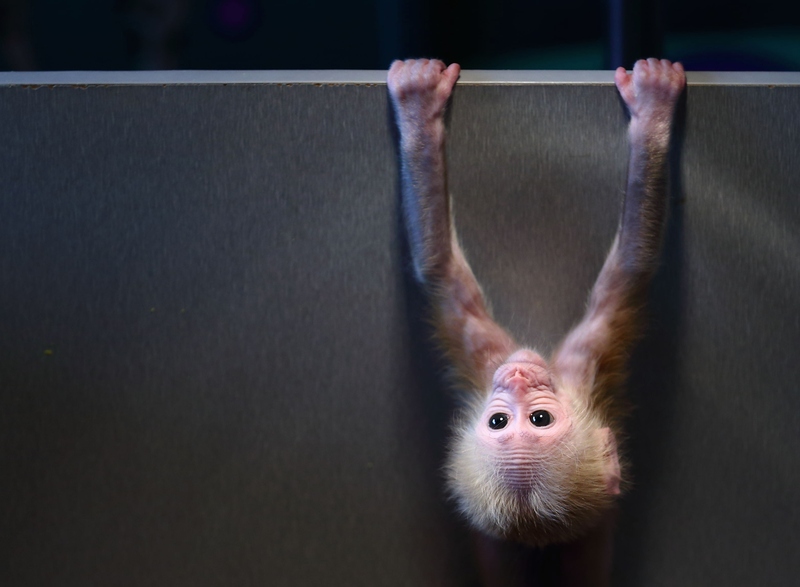 The baby monkey, born two months ago, quickly became popular for its restless movements that resembled a gymnast, local media reported. By STR/AFP/Getty Images.